Here we are at the start of a bright new 2014. Some Western Australian grain growers had a good harvest in 2013, but some still have plenty of debt and some have left the industry. It seems we are experiencing another period of adverse terms of trade as the economists would put it, or at cost-price squeeze as most of us understand it. But this situation has existed in one form or another since the 1980s and the industry has adjusted greatly to stay viable. Let’s look at a little history. In the late 80s and early 90s the state average wheat yield virtually doubled from just under 1t/ha to just under 2t/ha. So how did that happen? Well, the cost-price squeeze was instrumental in focusing the minds of farmers mightily. They knew that something had to be done and furthermore they knew what. All the relevant findings were known, either through local research or through hard-won experience and observation. The average date of sowing was advanced by about 3 weeks aided by the availability of the appropriate chemicals, semi-dwarf varieties and reduced or zero tillage among other things. At the same time the percentage of the crop that received a premium for quality (Hard, Noodle, Soft, APW) was increased from about 15% to over 50%. Since about 2000, the average yield of wheat in WA has been extremely volatile, in fact much more so than in any earlier period. I am not aware of any serious investigation as to the causes of such volatility but variable seasonal conditions must have been implicated somewhere. It may also be that the very changes that were implemented in the earlier period – earlier sowing, increased seed and fertilizer rates, semi-dwarf varieties, reduced tillage and many others were applied without any consideration to seasonal conditions. The changes in farming practices were recognition of the well-known profit equation – profit equals yield times price, less costs, where price is determined by quality. Yield of course has the greatest impact on profit, but the initial reaction of most people when faced with economic hardship, farmers included, is to reduce costs. In the case of wheat growers it was very quickly understood that improving quality, and thus getting an extra $5-35/t, could be addressed very cheaply with a few small changes to management such as hard wheats on heavy ground after legumes, noodle wheats on yellow sandplain after lupins, don’t overdo the nitrogen for the lower protein targets, use the appropriate varieties for the quality grade. Perhaps that was the reason that the quality of our crop changed so rapidly at the same time as our yields were increasing. These changes however, were evidence that pain of one sort or another is a potent driver of change. Most of us are resistant to change to some extent until there is a crisis. The woman whose doctor tells her that if she does not give up smoking she will be dead in a few months, the man whose wife tells him that she will leave if he does not give up the grog, the business person whose bank manager tells him to reduce his debt or he will be sold up. There is however, one other general stimulus for change. It is the clear evidence of a very profitable opportunity that might be missed. I wish that I had evidence of such an opportunity but I don’t. However, there is still considerable scope to improve grain yield, the chief driver of profit. If we look at average regional yields of wheat and compare them to the calculated, rainfall-limited potential yield (management or water use efficiency), Western Australian farmers have improved from about 30% of the potential to about 60%. This still amounts to a ‘gap’ of about half a tonne in the low rainfall zone to about two tonnes in the high rainfall zone. The gaps are relatively larger in the south of the state than in the north in any given rainfall zone. Of course these figures are based on averages and calculations made on the basis of models and we all know that these estimates can conceal as much as they reveal. This means that we need to burrow down to the farm or paddock level to really give us some clues as to what factors might be limiting our yields in individual cases. Averages are of little use at the farm level except to alert us to the possible need to look for avenues for change. We know that researchers often achieve yields that approach the rainfall-limited potential in experiments in small plots where all the known limiting factors are addressed except the one under study. So we know that it is possible to get that extra yield that may improve our bottom line but we do not know how much it might cost and exactly which limiting factor to address first. We also know that there are farmers on the books of some consultants that consistently achieve yields that are greatly above the average. These people are sometimes called ‘exemplary performers’ (EPs) and are probably no more than 1% of the total population of farmers. An EP is the athlete who consistently breaks records, the business that achieves outstanding profits over many years or the farmer who records grain yields that greatly exceed the average even in drought years. * do things differently to the average and operate by ‘rules of thumb’ that they have tested through observation and experience. For example – never sow more than 10 days after the break, always get on top of weeds the year before cropping, and many more that I am sure you can think of. * be fanatical about precision. Timing of operations and application of fertilizers for example, are based on observations, credible research findings and soil or tissue tests. * have been improving their soils for more than 10 years. Addressing acidity, compaction, salinity and low organic matter are some examples. The funny thing is that when the methods of such EP farmers are mentioned to average farmers the common excuse for inaction is that “Ah yes, but he has more rain, better soils, inherited more from his Dad, has better luck than me.” It seems to me that the time has come to take more notice of what the best farmer in the district is doing and act on it. Now, it’s not as though the average farmer has been sitting on his/her hands. Survey data show that over 85% of growers, even as far back as 2006/7, were using no till, retaining stubbles (completely or partially), using soil tests to make fertilizer decisions, using herbicides and fungicides as required, using some form of integrated weed management, and had grain or pasture legumes in their system, even if they were worried about the inconsistent yields. I n addition, over 70% of farmers had used some form of soil amelioration such as application of lime or gypsum, they were growing canola in the rotation, and still had some animals on the farm. So it’s not only a simple matter of adopting new techniques, but knowing where and when to apply them. It may be time to take a more in depth look on the individual farm or paddock basis at how management can be adjusted to face the latest drop in the terms of trade. Is it broadly yield improvement or cost reduction or grain quality improvement that is going to yield the best outcome? Historically over 70% of grain yield increases have come from improvements in management. So it is less likely that adopting that supposedly fabulous new variety alone is going to be the ‘silver bullet’ that is going to pull you out of debt (especially if you can’t save your own seed….). That said it may be that a new variety that requires different management just could be one trigger to improvement, but not a solution by itself. 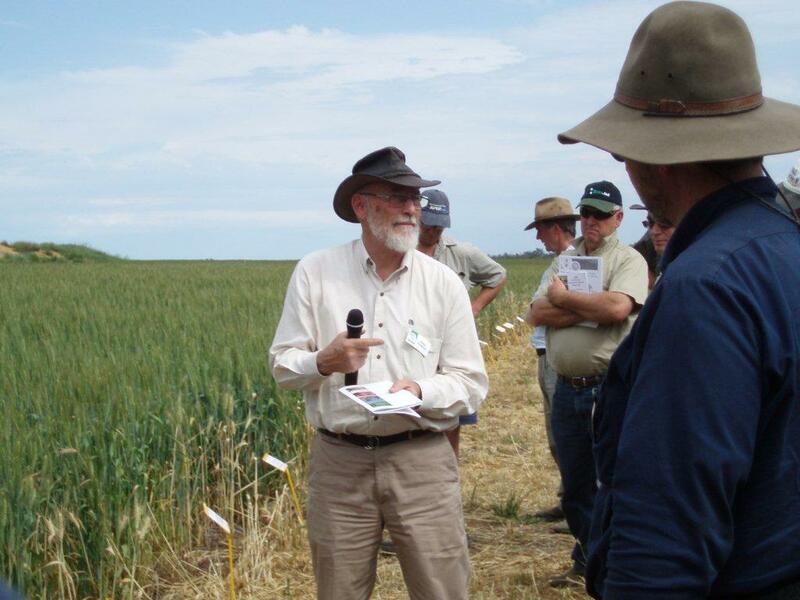 In general there are practices that will probably improve yield, such as earlier sowing (possibly in conjunction with a longer season variety), or improved fertilizer decisions, or improved weed management. There are others that have reduced costs such as zero tillage or that have enabled other improvements such as controlled traffic that allows soil compaction to be better addressed. Yield mapping and variable rate technology may well have a place but there are still questions that must be answered as to what factors are limiting the low yielding areas and what to do about them if the full benefit is to be captured. We need to be clear about the potential, long term benefits of any new technology and be prepared to commit to any extra changes that may be required to fully achieve them. Now, what about those EP farmers? How are they performing and how do we know that they are better? If we use the ratio of actual to calculated potential yield as one measure of management efficiency (pretty much the same as water use efficiency) there are examples in WA of farmers who consistently achieve 80% efficiency compared to the average of 50-60% and the lowest of about 30%. Yes, I hear you say, but what about their return to capital or their profits or their equity level? You will need to ask your consultant about that detail but we all know that yield is the major determinant of profit so I think you will find that there is a significant relation between this measure of efficiency and the other, more direct economic measures. The message appears to be that managing to maximize water use efficiency will not seriously harm the bottom line. • Only crop those paddocks that require minimum costs for weed control and fertilizer relative to their likely yield potential. Do less and do it better. • Adjust crop management according to what you know at the beginning of the season. You know the date of the opening rains and thus the likely length of the season, the approximate amount of stored water, the recent weed history of each paddock and you can set a yield target. • According to that yield target you can set up an amount of fertilizer that you can put into your budget. In the case of nitrogen the estimate goes in the budget, NOT all in the ground at sowing, but keep some for later in the season if the outlook improves. • Set yourself a cut-off date for sowing, and stick to it. • If at all possible do not abandon your soil improvement programme. This is an investment for the future. It surely includes a serious look at the place of legumes in your system. They have been the foundation of cropping in WA and should not be abandoned lightly for fear of consequences down the track. • Large areas of crop cannot be managed by a single formula. Matching inputs to soil types or paddocks can save money or improve yields, even if you are not using variable rate technology. • Full assessment of the factors likely to be limiting grain yield, including chemical, physical and even biological properties will ultimately be needed, remedial measures tested on-farm and then applied broad-acre. This may not be affordable in a time of financial crisis but it needs to be kept in mind if there is going to be a long term future for grain production. 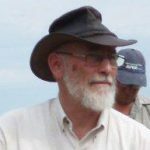 Wal Anderson is currently an Adjunct Professor in the School of Plant Biology at UWA. Previous PostThe City – Country Divide. As big as ever. I think much more technological uptake occurs when profit is available from the operation, rather than when stress is abundant, R and D also play a big roll in advancing the methods or breeds or technology, and in the point of grain the overarching organisation of the single desk operated by the awb had a demonstrable positive effect on the industry.